The telehealth market is accelerating, and while various forms of virtual care technology have existed for over two decades, healthcare organizations (HCOs) and provider groups are recognizing the transformative appeal of virtualizing care delivery. They now realize how virtual care can impact productivity, the total cost of an episode of care, and facilitate the transition of the patient from the hospital to post-acute care settings to the home. Over the past few years, more and more consumers have asked for more convenient and accessible virtual options, reimbursement policies have expanded, and providers have determined that they needed additional solutions to address care team shortages and to improve clinical outcomes- all of which can be done through telehealth. 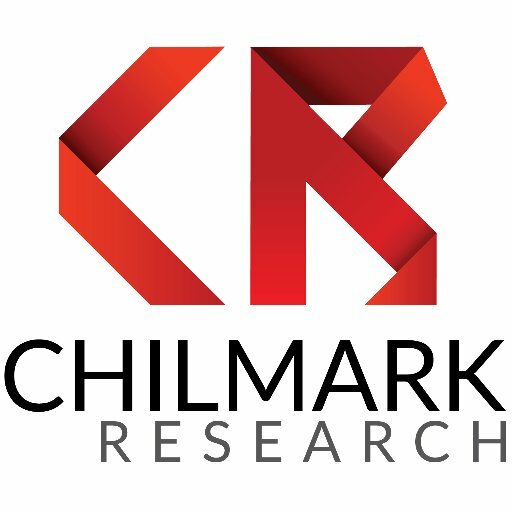 To help clarify the role of the leading telehealth and remote patient monitoring (RPM) solutions in the market today, Chilmark Research, a global research and advisory firm that is solely focused on the market for healthcare information technology solutions, conducted the market scan report, Telehealth 2018: Vendor Assessment and Market Outlook. The report profiles 12 vendors and takes a deeper dive into each of their specific offerings, while also examining what stakeholders must do to support telehealth beyond the clinic walls, and how emerging stakeholders are disrupting traditional business models with consumer-centric options and technology solutions. With an expected shortage of nearly 120,000 physicians in the United States by 2030, telemedicine is set to play an expansive and unique role in helping patients that lack access to specialty care, non-emergency care, and primary care, connect to the providers they need. The report details that providers that succeed in using telehealth to expand the availability of much-needed resources among their patient populations will see more patients than providers who do not leverage telehealth. In addition, a NTT Data survey found that half of patients would leave their current doctor for one who offered a better digital customer experience, and, once these patients leave, they are unlikely to return. In the report, Chilmark goes on to explain that “patients prefer telehealth visits with doctors they know and with whom they have an established relationship.” This statement directly aligns with SnapMD’s telehealth model. We are built to maintain and enhance the patient-provider relationship. As a white-label technology, the SnapMD brand does not appear anywhere on the interfaces (patient, provider, administrator, and patient presenter) when our clients are using the software, only the client brand does. Most importantly, it allows healthcare organizations to use their own medical providers, unlike direct-to-consumer services companies that use their own private clinicians, therefore, competing with the HCOs that launched the telehealth services. As HCOs and providers look to implement telehealth and RPM solutions into their care offerings this year, they should also be aware of new reimbursement policies that support virtual care, such as the Centers for Medicare and Medicare Services (CMS) and American Medical Association (AMA) reimbursement. On November 1, 2018, CMS published its final rule updating the Physician Fee Schedule (PFS) and calendar-year 2019 Quality Payment Program (QPP) with virtual visit provisions to reimburse providers for virtual check-ins, remote image evaluation, and other technology-enabled services- only if patients have a relationship with the physician already. The AMA also announced the release of the 2019 Current Procedural Terminology (CPT) code set, which went into effect on January 1, 2019. This includes three new codes that will allow for doctors to connect with their patients at home and virtually gather data for care management and coordination, and two new interprofessional internet consultation codes for the use of nonverbal communication technology to coordinate patient care between a consulting and treating physician. Over the course of 2019, the report forecasts that “the market for telehealth solutions is poised to expand from its historical role supporting clinical care within hospitals to supporting patient care and self-management beyond the clinic walls.” SnapMD supports this prediction and expects that “Healthcare at Home” via telehealth will become increasingly popular to lower costs, and improve patient outcomes and satisfaction. This will be true across nearly every segment of the country from rural to suburban and urban settings. In all of these settings, provider groups and health systems must find new efficiencies in care delivery while also expanding access to high quality and convenient care. If they don’t do it, newer entrants in care delivery will. To read a preview, or to purchase the full report, please click here.